Edmund Blyth, born in 1898, attended the Royal Military Academy Sandhurst where he became close friends with Arthur Bailey and John Bennett. All later fought in World War I in which both Bailey and Bennett were killed. Work began two years later on property Blyth had purchased in the village of Whipsnade in Bedfordshire. Blyth worked with Albert Bransom to plant the trees until the start of World War II. Blyth returned to his regiment and the site became overgrown. However, he continued his plans after the end of World War II with the assistance of Gerald Wallsam and William Baldwin. 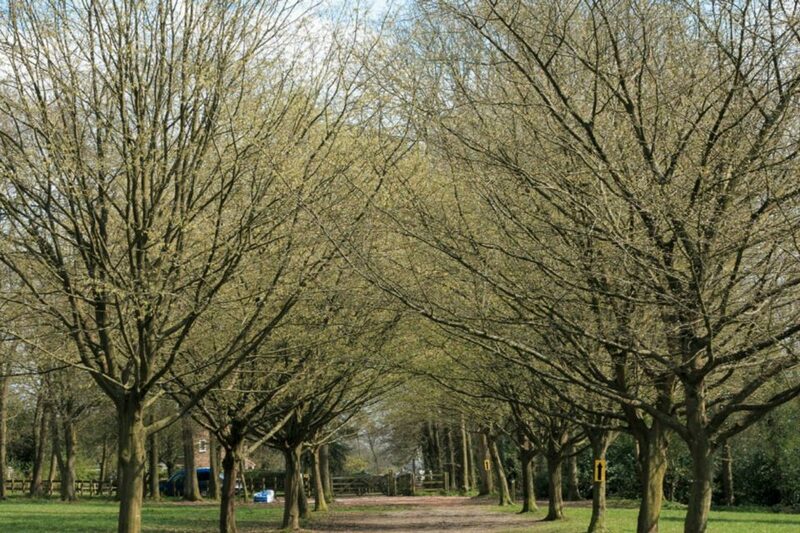 Blyth presented the Tree Cathedral to the National Trust in 1960 with a covenant allowing the trustees of the Whipsnade Tree Cathedral Fund to maintain the site and organize religious services there.